The Lord calls us to true joy. 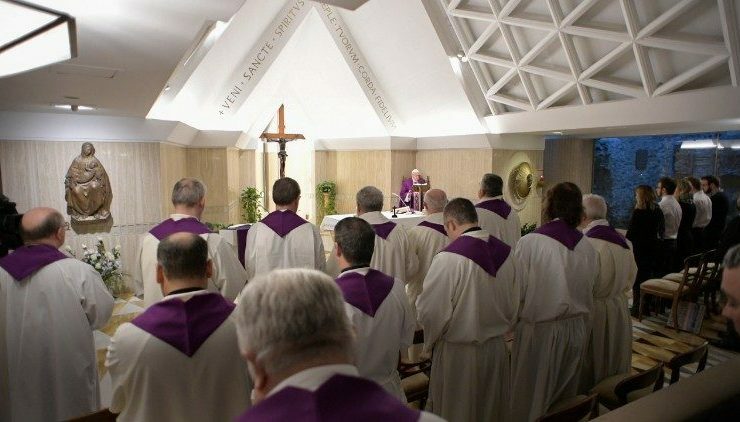 According to Vatican News, Pope Francis stressed this during his daily morning Mass at Casa Santa Marta as he reflected on the readings of the day. The Holy Father’s homily centered on how true Christians are able to take risks. They are not parked, but after receiving grace, keep moving forward, pursuing joy. Turning to how God wants us to be joyful, the Pontiff asked what is the great miracle the Lord accomplishes. The first reading, taken from the book of the Prophet Isaiah, he noted, explains it. Miracles, the Jesuit Pontiff noted, are only the beginning. The Pontiff asked what Jesus would think of so many Christians who stay put after the first grace they have received, who do not continue on the journey. Francis compared them to someone who would go to a restaurant and be content with an appetizer, and who would then return home, not realizing that the main course would be even better. A true Christian, the Pope stressed, takes risks. He encouraged all faithful to ask themselves: “What do I really desire?” Do I really desire God, and seek to be with Him? “Or am I afraid? Am I mediocre?” What is the measure of my desire? Am I satisfied with the appetizer, or do I desire the banquet that is set before me?